You might believe that designing and building your WordPress website is a big, scary project that has a lot of complicated parts. I know there’s so much advice out there, and it’s totally normal to feel stressed and overwhelmed. But it’s actually not that bad and you can do it successfully! 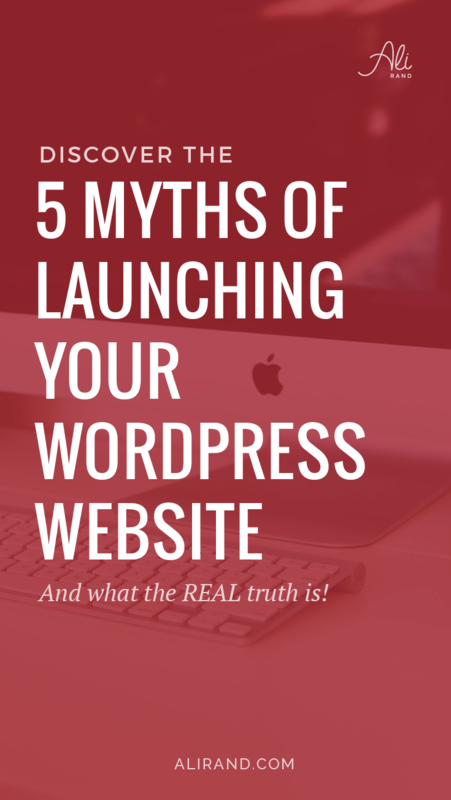 So it’s time to stop being held back from these 5 myths about launching your website and actually do it to start making money online! 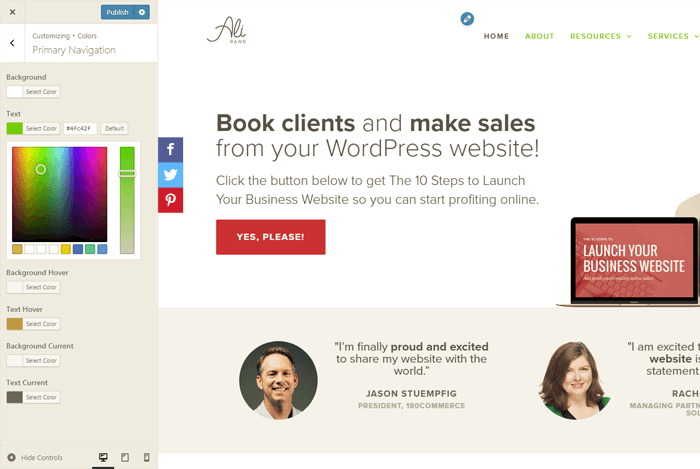 Book clients and make sales from your WordPress website! Get The 10 Steps to Launch Your Business Website so you can start profiting online. After you decide you want your website on WordPress (smart choice by the way! 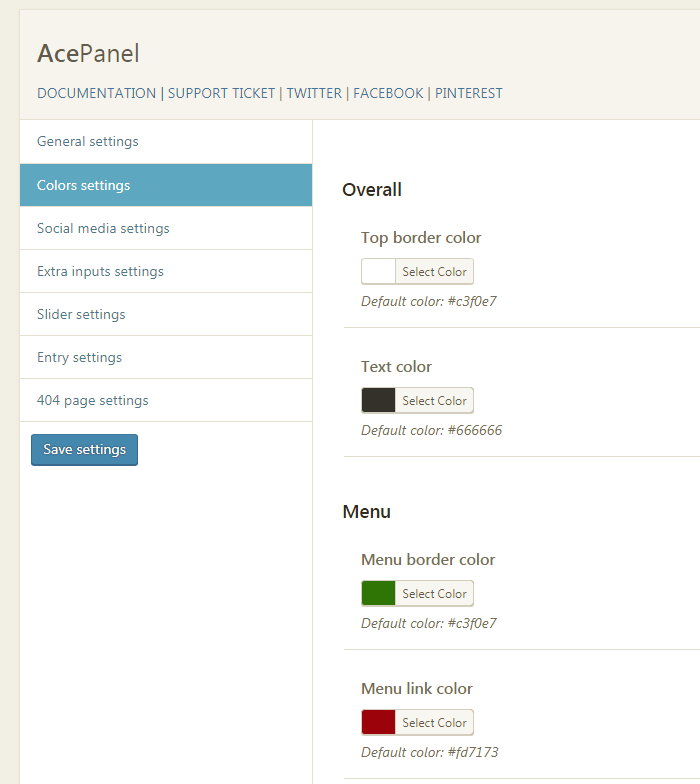 ), you often think the next step is to find your perfect theme. The one that has EVERYTHING you want and looks EXACTLY how you want it. Even when my own clients come to me, they want my advice on which theme they should get. But here’s the thing…there are THOUSANDS of themes out there. Portfolio themes, eCommerce themes, minimal themes, bold themes…the list goes on and on and on. To research all of them wastes SO.MUCH.TIME. And at the end, you’re left overwhelmed and never sure if it’s truly the right fit for you. So my advice is to ditch those “premium” themes, even if your budget is $0 or $250 (and yes, I’m including Divi here as one to ditch). Because, they’re super bloated (makes your site slower), hard to customize (settings in the backend so you can’t see any potential changes live), and can be really sketchy to update (talk about broken pages!). And this way is such a waste of time! 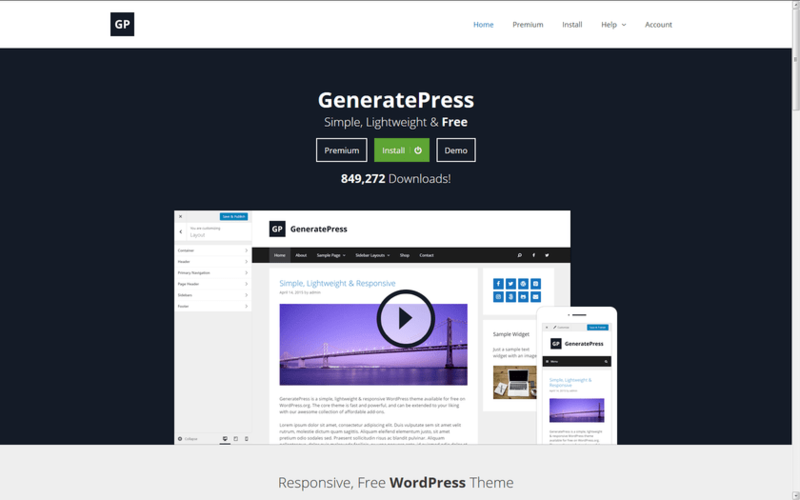 That’s why I recommend you use a free lightweight, SEO-infused framework, like GeneratePress with its basic child theme. This is like a blank canvas, where you customize how you want it to look via WordPress Customize settings. And this means you can always easily change things down the road, opposed to the others which are really hard to do advanced customization without coding knowledge. 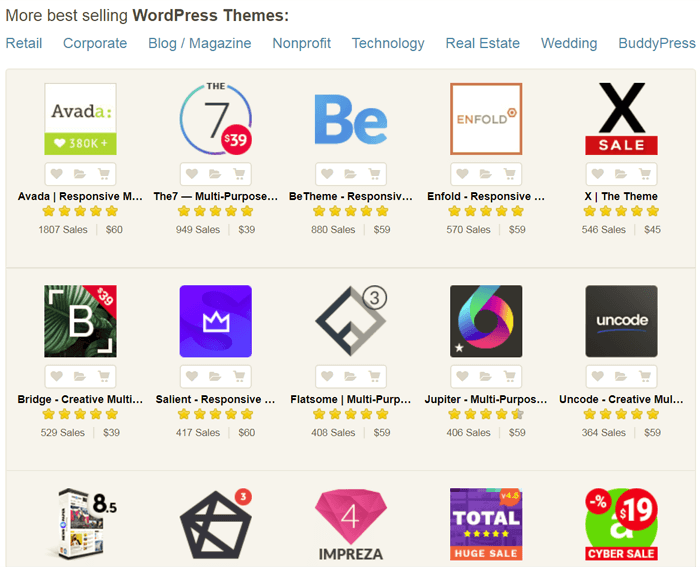 This versatile framework evolves with your business, and you can always customize each page easily with a free page builder plugin like (Elementor). So save yourself $70 and buyer’s remorse with this free dynamic duo of GeneratePress + Elementor. This brings me to the next myth that you need to know how to write code to design your website. For the most part, you can design and build 90% of your website with a page builder plugin. It has all the elements you need for your pages, like images, text, videos, dividers, etc. Gone are the days where you need to know HTML and CSS to design whole pages for your website. Just install Elementor on your website and use its drag and drop features! Plus, you can then click a button for Mobile View and tweak any spacing or sizing issues without advanced mobile CSS queries. Of course, there might be some things that would be helpful with some CSS tweaks, but you should be able to build a solid website without coding! 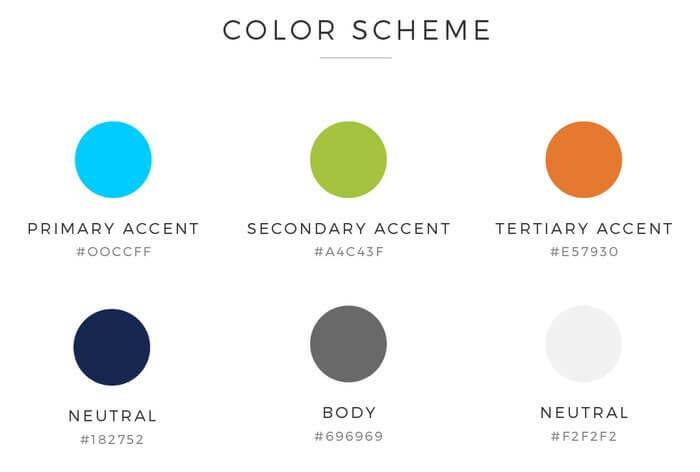 Another myth is that designing and building your website is supremely complicated. You often have no idea where to start! But you can easily find resources online that help you get your site up and built. And I have an entire blog post that walks you through the stages, too! Just like new things, once you do it the first time, it’s not that bad and you actually might have some fun! You just need to keep taking small steps and eventually you’ll get there. And we’re actually lucky because there’s also SO much support out there if you run into problems! You can just google your problem and you’ll probably find your solution. If not, resort to your theme or plugin (or even WordPress) support forum. For me personally, Tom and the developers of GeneratePress have always responded and answered any questions I had! Which is another reason I recommend that theme. So you’re not in it alone, my friend. We’re all in it to build and maintain our websites together, so don’t sweat it! Some websites take longer than others to build, but it just depends on your design and your skills. But if you take the initial time to learn the basics of WordPress and your page builder plugin Elementor, you’ll save a lot of time down the road when it’s time to start building. 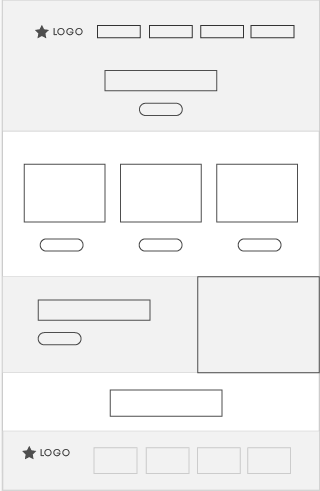 And you can save even more time by having a clear design idea for your pages in mind before you start the actual building of the pages. Sketch out what you want each page to look like, have a color scheme in place, and organize what images you will use. Because depending on the complexity of the pages, you could get a page done in 30 minutes or 90 minutes. It just takes finding time in your schedule each day to dedicate to your website design! Progress, not perfection, my friend. Because the truth is, your website (or business) won’t be perfect from the start. 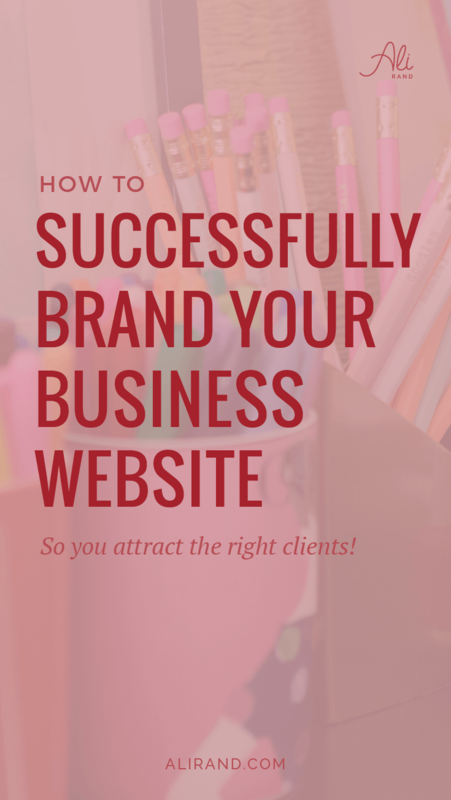 I know you want to shine the best light on your website when you launch the first time. But it’s not worth it if you’re delaying getting business by not launching at least a simple website. So see where you are in the process of launching and see what the next step is. Write out what all has to be done before you launch and schedule the tasks on your calendar. Only give yourself a few days to complete each task, or else you’ll continue to drag on without getting closer to launch. 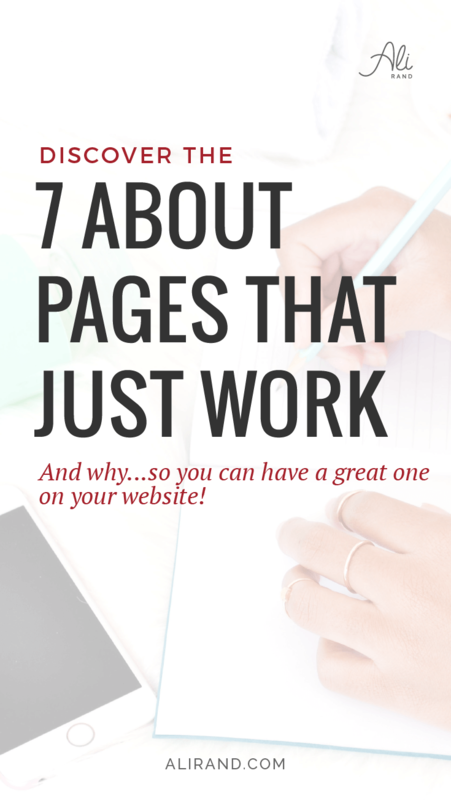 Because remember, you can always tweak your pages or your branding down the road! So just get the best version you can with the money and time you can budget now. And then you can always upgrade your website when you have the resources. 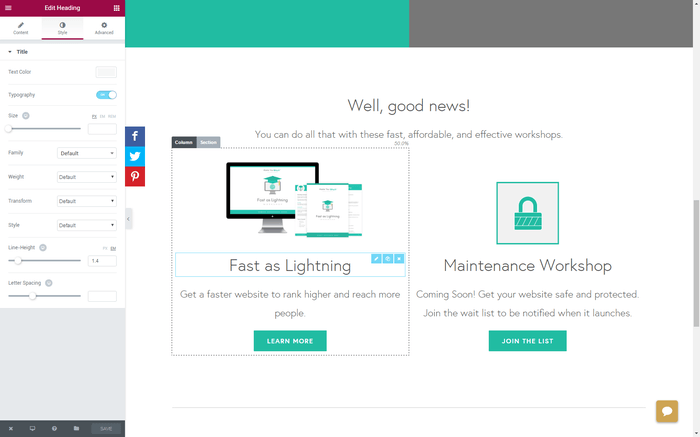 Now you’ve learned launching your website isn’t as hard as it seems. You just need to spend some time to dedicate to it or let me take care of it if it’d be easier for you. 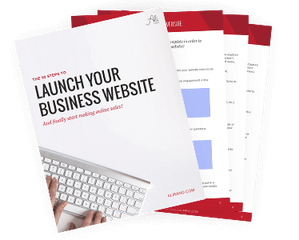 And to launch your website easily, get my 10 Steps to Launch Your Business Website. Click the button below to get your free PDF! Want all the steps? 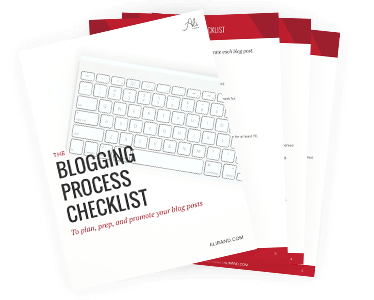 Get your FREE Blogging Process Checklist so you don’t miss anything when you’re creating blog posts! #5 was me. Now that my blog launches, I just try to be as consistent as possible with creating content. It’s not bad once you get started! Yup #5 is so common! I know I had that originally too. But great job at being consistent…that’s the next big challenge! Thanks for commenting, Reginald. Useful advice for users new to WordPress. Glad you found it helpful Crysta! Great blog! The tips are very helpful to new to WordPress. Very informative. Thanks for sharing ♥️ ♥️ By any chance you are interested on doing collaborations, you can connect with amazing brands and fellow bloggers through the influencer directory of Phlanx.com! Thanks Tiffany! Glad you found the post helpful. And thanks for the tip about your site. Will check it out!